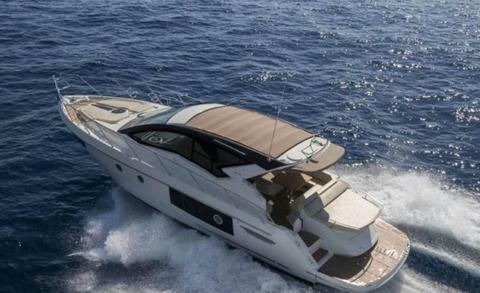 NEW in Charter Cranchi M 44 HT – Bareboat Charter in Spain for max. 12 persons. Enjoy your vacation on board of this amazing yacht, confirm now your preferred week! Do you offer boats for hire (not only Cranchi m44) by yourself? Sign up and add your Cranchi m44 or other yachts for rent in our yacht charter data base.